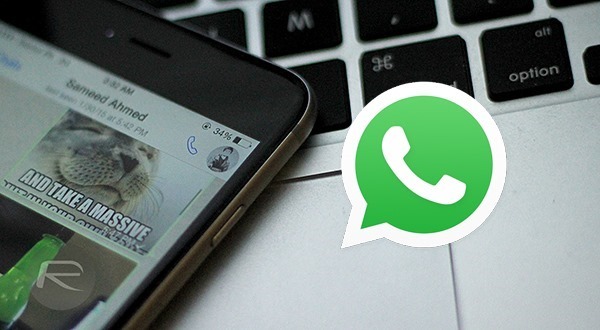 We already knew that WhatsApp was working on bringing video chatting to its hugely popular instant messaging app, but we didn’t know when. In truth, we still don’t know when exactly but we can now at least get an idea of what it may look like after some screenshots of the feature were leaked today on the Internet. 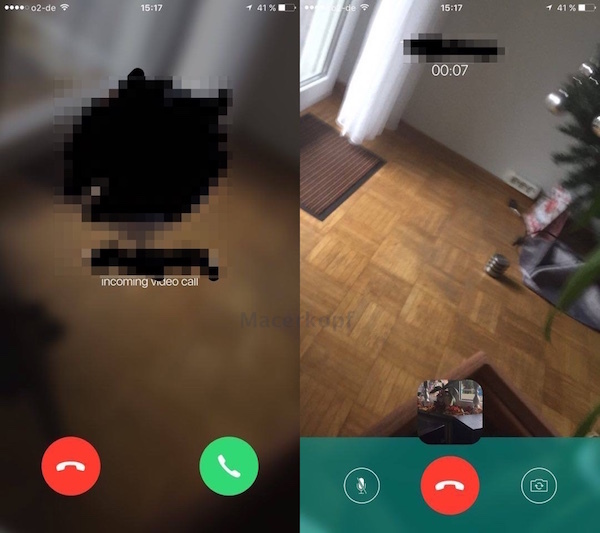 The images, which have any incriminating data removed, show what appears to be full-screen video calling inside a beta release of the WhatsApp iOS app. That video calling is expected to work equally well over both WiFi and cellular connections, and will be arriving in a future update of the messaging app. The build in use in the screenshots is said to be version 2.12.16.2, with the current version available to beta testers being considerably older, carrying version number 2.12.12. With Apple’s FaceTime and even other Facebook properties already offering compelling video chat features, WhatsApp needs to gain parity in that regard as soon as possible. Given the version numbers mention above though, we don’t expect to see video chat to arrive in the next WhatsApp public update, whenever that may be. Hopefully we’ll be proven wrong though, because that feature alone is one that many WhatsApp users have been crying out for. Quite why it’s taking so long is anyone’s guess. It’ll be better if they do a proper call notification, because for the minute it’s a hassle to answer an incoming call by opening the app first.